Lucy specialises in all aspects of family law with a particular emphasis on the financial implications of relationship breakdown. She has experience of dealing with matters with a cross-jurisdictional element from her previous role working at a niche firm in the North West and advises clients in relation to wealth management and protection issues in the form of pre or post-nuptial and living together agreements. 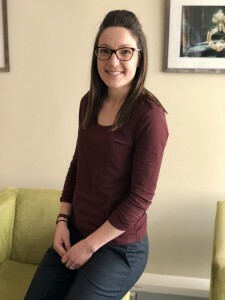 Lucy also has considerable experience of dealing with cases concerning children, helping clients to resolve the difficult and sensitive issue of where and with whom a child should live in a sensitive manner. Her expertise also covers issues of child relocation, parental responsibility and child maintenance. Lucy provides practical and commercial advice to her clients but is known for her sensitive approach. She cares about her clients and shows compassion and empathy in her work. As Chair of the local Resolution group and a trained collaborative lawyer, she is dedicated to resolving cases in a constructive and pro-active manner. She is also an active volunteer and supporter of the Norfolk Community Legal Service initiative providing free legal advice to the community.